Did the New York Giants make the right decision in the past NFL draft? New York Giants are at a crossroads in the 2019 NFL Draft, because last year they failed to take a quarterback. 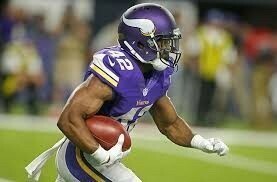 Could they be interested in one this year? 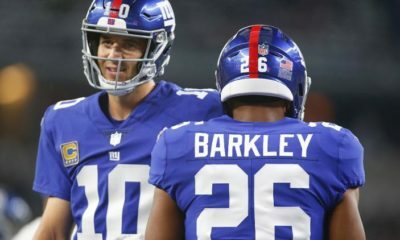 The New York Giants elected not to draft a quarterback in the 2018 NFL Draft, forgoing the opportunity to draft Sam Darnold or Josh Rosen to take running back Saquon Barkley with the second overall pick. The Giants had a rough 2018 season, and find themselves with the sixth pick in the draft this year. And with that sixth pick, the Giants find themselves at a fork in the road that could have been avoided had they taken a QB last year. Many mock drafts have the Giants taking Ohio State quarterback Dwayne Haskins with the sixth pick in the draft, with the thought process being that Eli Manning can teach the young quarterback before he departs. And Haskins, by all accounts, would be a solid choice given his ability to pass from the pocket in a league like the Big Ten, where defenses usually reign supreme. But whether or not the Giants will actually go through with taking Haskins is an entirely different discussion. On one hand, Giants management has shown that they are extremely dedicated to Manning as a starting quarterback. 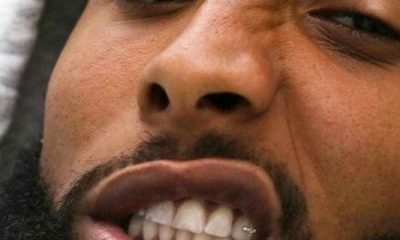 This is despite his lackluster play in recent seasons that has been a product of both his propensity to turn the ball over and the lack of consistent protection that he has received from a much-maligned offensive line. In fact, there are rumors that a contract extension could be in the works, which would be a shock given the stage Eli is at in his career. On the other, there is the fact that the Giants realize that they may have missed an opportunity last year to take Darnold and that they may not want to waste another opportunity near the top of the draft to take a quarterback. Making that realization more apparent is the fact that Darnold is playing in the same home stadium as a member of the New York Jets, where there is optimism about the direction in which the team is heading. 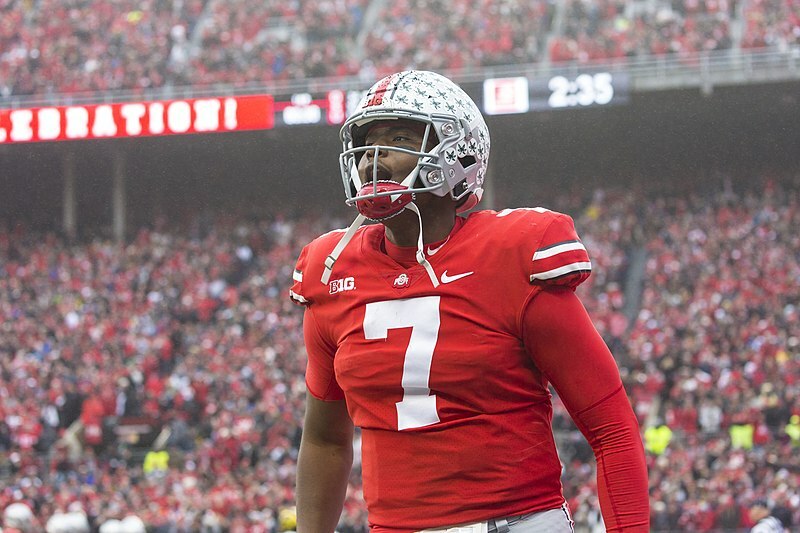 Drafting Haskins could put mentions of the Giants missing an opportunity to draft a quarterback to bed if the team went through with taking him. 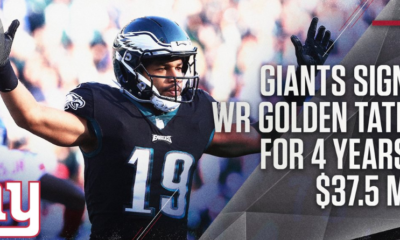 There is also the possibility that the Giants don’t take a quarterback in hopes of getting one of the prospects coming out of the 2020 Draft. Oregon’s Justin Herbert and Alabama’s Tua Tagovailoa would lead that list of quarterbacks who might be a better long-term solution for the team who NFL betting futures odds at bet365 have at +6000 odds to win it all in 2019. 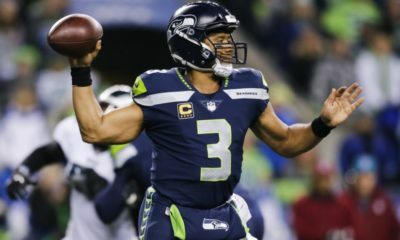 Those long odds mean that they have a decent shot at a top pick again next year, where they may be able to take a quarterback in the 2020 Draft. That would open up their top-10 pick in 2019 to take a player at another position of need that could help build the roster around a potential franchise quarterback. 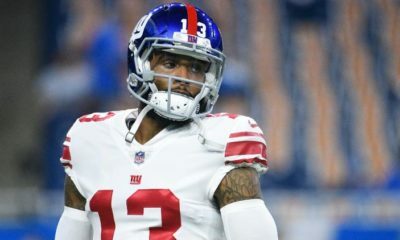 But with that strategy comes some risk, as the Giants could end up winning enough games in 2019 to miss out on the top picks and the quarterbacks that come with them. And at this crucial point in the team’s development, the stakes are incredibly high to not miss out on a quarterback.